Already burdened with jihadist violence in the north of the country, the fragile Sahel state of Burkina Faso must now confront the reality of an escalating threat in its east. Experts say the spread is the result of a squeeze on the insurgents in neighbouring Mali and Niger — but to roll the rebels back, one of the world’s poorest countries will have to dig deep into its threadbare pockets. Islamist attacks on Burkina Faso began in 2015, starting with cross-border incursions in the north. A toll released in April found that 133 people had died in the north in 80 attacks in three years, many of them state officials. Hundreds of schools and town halls have been closed. 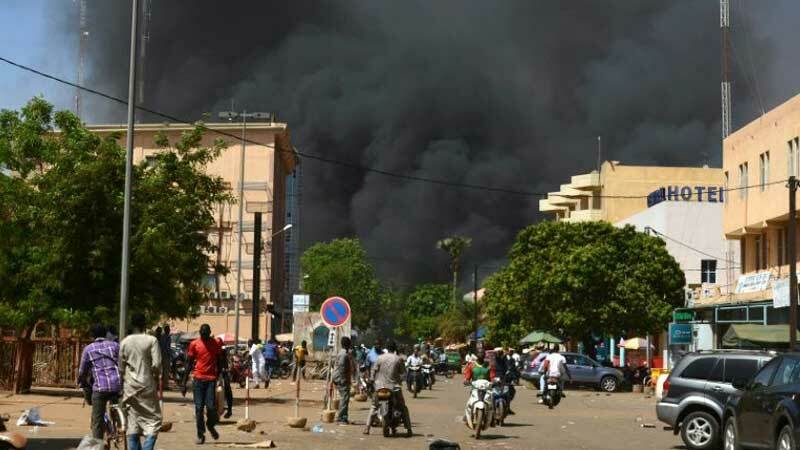 The capital Ouagadougou, in the centre of the country, has suffered three attacks in two years, leaving 60 dead. The east of the country is now in the firing line. Last weekend, five gendarmes and a civilian were killed when their convoy was ambushed at Fada N’Gourma, the main town of the Eastern Region. The lead vehicle in the convoy struck a mine, and those behind it came under heavy fire. “The method of attack isn’t new — we have had a number of this kind in the Sahel region. But this is the first in the Eastern Region,” said Abdoul-Karim Sawadogo, a West African security expert. “The Eastern Region has been in the eye of the storm for some time. It was already reputed for attacks by criminals but now it is starting to be targeted for terrorist attacks,” said Paul Koalaga, a consultant in geopolitics and security. On June 17, a policeman was killed in the town of Comin-Yanga in a simultaneous attack on the local police and gendarmerie stations. Ironically, the attacks in the east could be a result of pressure exerted on the jihadists in Mali and Niger by France’s Barkhane force and the new G5 Sahel force, which pools troops from five states, said Sawadogo. “These repeat terrorist attacks in the east seem to be the work of Abou Walid al-Saharaoui, a warlord in the Islamic State in the Greater Sahara group,” he said. “He and his men have been routed in northern Mali and Niger, and ever since then, many people have been thinking that they may have retreated to the Eastern Region” in Burkina Faso. Boko Haram is a hardline jihadist group that has caused the deaths of at least 20,000 people since it took up arms in northeast Nigeria in 2009. Its insurgency has spilt into neighbouring countries, including southern Niger, Chad and northern Cameroon. “Eastern Burkina is a sparsely-populated area and there are many forests where you can hole up,” a military specialist said, speaking condition of anonymity. Its weak point, he said, was in the intelligence services, which were based on the Presidential Security Regiment — a unit that was dismantled after an attempted coup in 2015 that implicated its former chief, General Gilbert Diendere who also served as the country’s spymaster. “There has been a lot of effort, genuine will and reassuring talk by the government, but terrorism has clearly advanced,” said Koalaga.